Our mission is to support our listeners in growing empowered families by encouraging community and providing evidence-based information for their journey into the childbearing years and beyond. Maternally Yours focuses on issues affecting pregnant women and families with young children from a journalistic, consumer perspective. 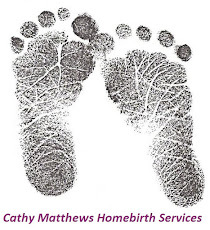 The program is hosted and produced by three mothers who share a desire to empower women to take control of their bodies, pregnancies, births, and the raising of their children; we believe the best way to do so is with evidence, information, and support. We bring our individual expertise and experience to the microphones, but are united by a passionate desire for compassionate maternal child healthcare. We have four children between us with one on the way. Today’s pregnant woman or new mother has an overwhelming selection of sources for answers. Maternally Yours seeks to provide a new option: an interactive experience that includes research, journalistic evidence, and real parents’ experience about every topic we cover on the air. When women are able to demand and receive informed care in pregnancy and birth it enables them to become more confident, capable mothers, resulting in healthier families and healthier communities. We are so thankful to our listeners, and our listeners have expressed gratitude for this long overdue platform that offers evidence, support, and resources to pregnant women and new families. Pregnant women and the mothers of young children must have a louder voice in shifting policy toward compassionate, appropriate and informed health care. We volunteer our time because of a genuine desire to improve the care of pregnant women, mothers and babies in our community and in our global village. Women who are educated and supported in their effort to have positive, healthy birth experiences feel empowered and in control. Empowered women create empowered families. Empowered families create healthy societies.